Home > Places > United States > Florida > Zephyrhills > Dealer/Repair > Affordable MotorSports, Inc. Welcome to Affordable MotorSports. We are an independently family owned and operated full service motor sports dealership. We founded our business on the basis of offering affordable motor sports products and services to our customers and in doing it in a way that no one has ever done before. For so many years there has not been an alternative to the high price motor sports products and services offered by the big name stores, well that all changed when we opened our doors 5 years ago. We feel that you, the customer, are our most important part of our business. At Affordable MotorSports you will be treated like a person and not a number. We guarantee you will be given total customer service every time you come in to visit us. We specialize in the affordable alternative brands of motor sports products and lower cost parts, accessories and service. We offer quality products and better more personalized customer service that you deserve. Not only do we specialize in the alternative brands we also specialize in the name brand parts and service as well. We have parts accounts with all the major name brands and can get more parts and accessories that the big name dealers can get but at a better price to you. 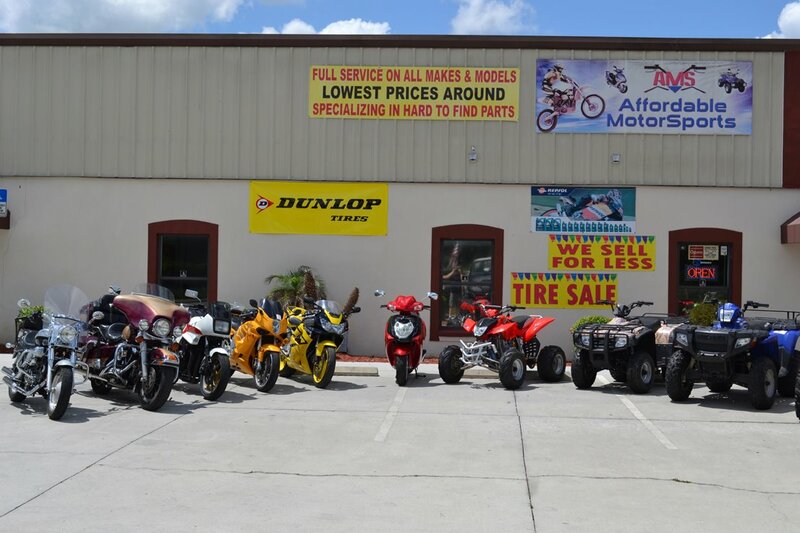 We also have the largest selection of hard to find alternative brand parts in the State of Florida. Our customer base reaches out over a 250-mile radius. 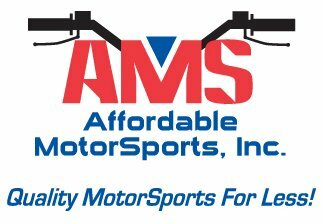 Affordable MotorSports is a one of a kind motor sports shop and we pride ourselves in being able to help our customers time and again. We have built our business on the philosophy of “treat others as you want to be treated” and we have found that our customers keep coming back again and again to us for all there motor sports needs. We look out for our customers and look for ways to save them money. We hope that you will become one of our great customers and if you are currently are one of our great loyal customers we thank you very much for your continued support.